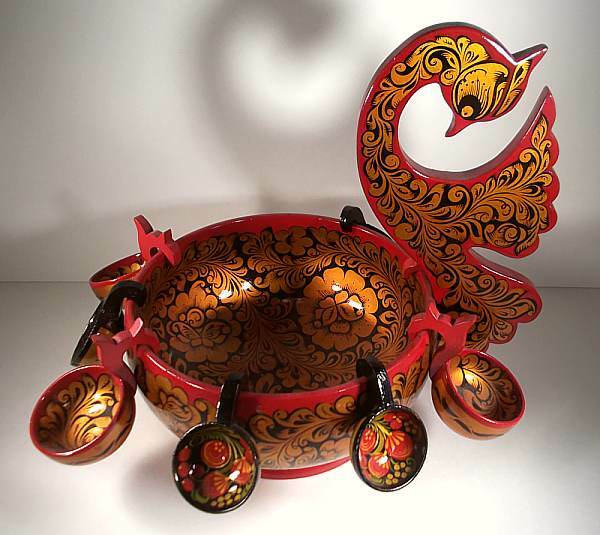 This swan from from Khokhloma is sculpted from a single piece of wood and is beautifully detailed with lovely traditional art work. Comes with three matching ladles and four smaller darker ones. A unique blend of beauty, sculpture and functionality.